“United Chambers of Commerce is on record supporting the Governor’s Budget Stabilization Act proposal as previously put forward. United Chambers has adopted no formal position regarding the new portion of the Governor’s proposal which recommends a temporary sales-tax increase; and in general the business community remains skeptical of tax increases as a vehicle to solve the State’s overspending problem. However, we do applaud the Governor on bringing forth new budget compromise proposals as part of a dialogue finally to resolve the budget impasse. 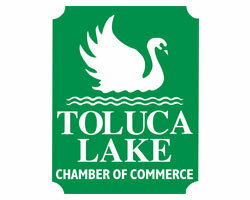 While there are items in this compromise that none of us might like, it is imperative that our legislators seriously sit down and solve this crisis as real people and businesses are the ones who are suffering,” stated Stephen T. Holzer, Chairman, United Chambers of Commerce ~ San Fernando Valley & Region . United Chambers fought this bill last year and it has now come up again in the legislature. The bill has been amended as to be so vague that it now can apply to any statute of limitations, not just labor and employment. Once again, United Chambers will fight against this bad bill for business to ensure its defeat. Citing the real problems our state faces with the increase in oil prices and that we have to rely on other sources instead of our own, United Chambers Government Affairs Committee voted to call on the state to lift the ban on offshore oil drilling following all state and federal regulations. Discussions also centered around the fact that there are spots along our coast that have oil resources, we are one of the few states that do not have oil excise fees and that the state could be making money from possible leases. Speaking to a crowd of just under ninety people, David Crane, Special Advisor to the Governor for Jobs and Economic Growth explained the state’s budget process. He also talked about the on-going budget negotiations with the legislature and detailed the Budget Stabilization Act. He discussed the Governor’s proposal for modernizing the state lottery and setting aside a rainy day fund. Crane answered many questions and all who attended were impressed with his vast knowledge and insight. Bruce Ackerman, President and CEO for the Economic Alliance of the San Fernando Valley who has worked with David on many occasions introduced him to the Valley crowd. Matt Raymond, Representative for the MTA informed the Board of Directors on the need for the proposed tax, what projects would be included and the issues currently being debated. AB 2321 (Feuer) the enabling bill for the initiative was also discussed. The MTA will be meeting on July 24, 2008 to decide if they will put this on the ballot for November. It would take a 2/3 vote of the people to pass the new tax. There was much discussion on the list of the projects to be funded and the fair distribution of projects throughout the County, regional projects vs local, and if this passes would anyone be able to take and use this money for anything other than transportation funding. Valley projects are included in the proposed list of projects. No formal action was taken, just feedback to the MTA Representatives for their meeting on the 24th. Proponents are proposing this proposition to increase the percent of renewable power that utilities must purchase. It would require all California utilities to generate at least half of their power from alternative energy sources by 2025. This is above the 33 percent that the Governor wants to see by 2020. Opponents say it is poorly drafted and would not achieve its goals and may in fact, hurt renewable energy development in California, raise electric bills and lead to another energy crisis. It would also put a 3% cap on consumer’s bills and it was mentioned that this is what got California into an energy crisis before. Opponents are quite unique, Democrats, Republicans, labor, taxpayer groups, business, environmental, consumers, energy providers and utilities. Members discussed the unintended consequences of the initiative and the fact that something this important should not go to the ballot but would be better vetted through committees and public hearings. United Chambers voted to Oppose Prop 7 and join the coalition, Californians Against Another Costly Energy Scheme. 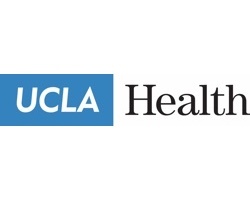 In an effort to provide information and education on healthcare access, prevention and innovations in medicine, United Chambers has joined The California Partnership for Access to Treatment. 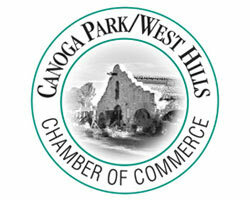 They are a diverse network of healthcare and business organizations and others throughout CA. 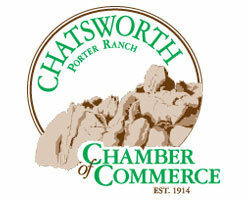 Several of our Chamber members have already joined the coalition. 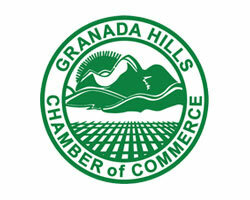 United Chambers will be joining them as a Co-Host for an event in October 2008 on how to control healthcare costs. This bill essentially seeks to require every employer in California to provide employee paid sick leave. This would be for any employee who works seven or more days in any calendar year, beginning on the 90th day after the start of employment. The NFIB has concluded this legislation could cost employers as much as 4.6 billion in the first five years of implementation and could result in the loss of 370,000 jobs during the same period. United Chambers had sent a letter opposing this bill last month to the Assembly. This bill has passed the Assembly and made it to the Senate and looks like it may pass there. Board Chairman Holzer encourages all Chambers and business leaders to send letters opposing AB 2716 (Ma) to the Senate and a letter to the Governor, should the bill pass, to veto it. Joining with over 150 other business organizations, United Chambers joined the AB 32 Implementation Coalition to make sure businesses voices are heard and that the AB 32 requirements are achieved while still maintaining competitiveness between business and protecting the interests of consumers and workers. The goals of the regulations are to reduce statewide green house gas emissions by 80% by 2050. United Chambers will look to protect businesses interests while participating in the implementation process. SB 1646 (Padilla), a Bill that would reauthorize a $1.00 fee that has been in existence for 20 years for transportation improvements was discussed at a recent United Chambers Government Affairs Committee. Discussions centered around the fee and what it had accomplished, if anything over the years. No action was taken by the committee as a motion to oppose could not get a second. HR 2548/1499 (Boxer/Feinstein), House Resolutions that deal with ships using our Ports and a lower Sulphur fuel were discussed in United Chambers Government Affairs Committee. Discussions centered around whether or not this applied to California Ports only or all Ports and whether or not this could make California Ports less competitive. There was no action taken as a motion to support failed. A local measure trying to garner support for Instant Runoff Voting failed to get the endorsement of United Chambers. The New America Foundation says voters are fatigued with so many elections in one year. Because of low voter turnout we have costly elections. The IRV would only apply to City, LA City College Boards and LAUSD elections. It would help reduce the costly elections that take place when no one receives 50% plus one and there needs to be a runoff. Proponents say it would reduce election costs and help pay for the new voting equipment needed. Opponent, Councilman Greig Smith believes we will always have low voter turnout if we only have one race or no big issues on the ballot. He believes he may not have been elected if he had not had the second election opportunity where he was able to raise more money and have more time to debate the other candidates and issues. He believes this is a measure that would go against pro-business and independent candidates. He said we should wait to see how other cities fair that have instituted this Instant Runoff Voting so we know if it is fair to all and works. United Chambers Government Affairs Committee discussed the confusion this new system may cause voters and the fact that no one knows how it would all play out. 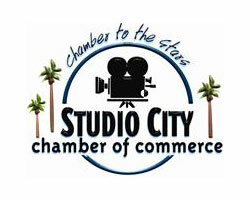 On June 6, 2008, United Chambers of Commerce honored sixteen small businesses and the Chambers or Organizations that nominated them as the 2008 Small Businesses of the Year. The winners were celebrated by close to two hundred of their peers at the recent breakfast. 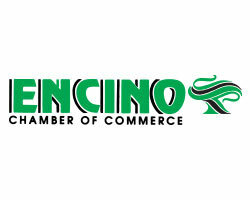 United Chambers of Commerce of the San Fernando Valley & Region is proud to have honored these fine business leaders and businesses, and the Chambers/Orgs they belong to for the contributions they make not only to improve the business climate in their area but also to improve their communities. We encourage everyone to frequent the winners and we congratulate all of them! Raffi Donoyan, Frontline Recon Services, Inc.
For the second year in a row and going on her second year as the President & CEO for United Chambers of Commerce, Debi Schultze was honored as a nominee for the Women In Business Awards hosted by the San Fernando Valley Business Journal. 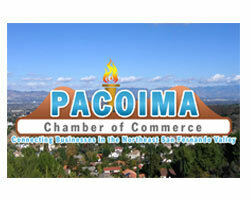 She was nominated by the Economic Alliance of SFV again this year. Last year she was also nominated by Jason Schaff, Editor of the San Fernando Valley Business Journal. “I am so honored to be listed among all of these extraordinary women,” said Schultze. “And to be nominated by the Economic Alliance, well it just doesn’t get any better!” she said. Sixteen representatives from United Chambers of Commerce and representing eleven different Chambers attended the CalChamber Legislative Summit in Sacramento. 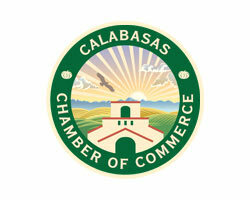 Participants were updated on CalChamber priorities, the budget, election realities and heard from George Stephanopoulos on the Presidential campaigns. They also were addressed by Governor Arnold Schwarzenegger who spoke about the budget. United Chambers set their own meetings with Ralph Simone- CLWA Lobbyist, Mike Genest- Director of Finance, Elizabeth Hill- Legislative Analyst, Chris Mowrer- Deputy Secretary-Legislation, Resources Agency, Jack O’Connell- State Superintendent of Public Instruction, David Crane- Special Advisor to the Governor, Jobs & Economic Growth, Assemblyman Lloyd Levine, Jim Bougart- Deputy Secretary- Transportation & Infrastructure, John Hummer- Deputy Secretary- Goods Movement, Assemblyman Cameron Smyth, and Gary Winuk- Chief Deputy of Homeland Security. Thank you to Assemblyman Cameron Smyth’s office for arranging a Committee room in the Capitol for some of our meetings and thank you to Verizon and the CA Republican Headquarters for letting us use their Conference rooms. Thanks also to The Gas Company and PGE for trying to work out facilities for us. Our members came away with a depressed feeling that major issues are not being addressed and the need for better communication and cooperation is very apparent. United Chambers of Commerce encourages you to support Mr. Parks in the election to replace Supervisor Yvonne Burke, District 2, on June 3, 2008. United Chambers’ Board of Directors voted to support Governor Schwarzenegger’s Budget Stabilization Act. The Budget Stabilization Act will set in place a system of checks and balances that will give our state greater fiscal stability. “The time is now and long overdue to put our state finances in order,” stated Chairman of the Board, Stephen T. Holzer. “Businesses throughout California face budget strains and understand the concept of reining in expenses and saving for a rainy day. We applaud the Governor for taking action now that will provide California with stability for years to come,” stated Debi Schultze, President & CEO. The United Chambers of Commerce of the San Fernando Valley and Region has voted to support Councilman Zine’s Motion, which would bring much-needed revision to LAPD’s Special Order 40 by enacting “Jamiel’s Law.” We applaud Councilman Zine’s courage in addressing this critical matter. If enacted as a City policy, his Motion would assist our police officers by clarifying the meaning of Special Order 40 and would assist the community by reducing gang activity. We also suggested that, in addition to the proposed amendment, Special Order 40 be further revised to direct LAPD to cooperate with federal immigration officials when an undocumented alien is booked for any criminal offense. Such direction to the police would properly enhance the deportation of undocumented aliens who have illegally entered the United States. Citing that neither proposition did enough, and that there was good and bad in each, United Chambers of Commerce took no action on either Prop 98 or Prop 99, the measures addressing eminent domain. United Chambers submitted five pages of comments and ideas to either cut expenses or increase revenues for the Mayor’s proposed budget for the City of Los Angeles. Comments and ideas were generated by United Chambers’ members. The City Council is currently holding hearings on the budget. United Chambers’ Board members voted to oppose the City’s Point of Sale Ordinance and encouraged the City to continue the current 50/50 program it has for residents and suggested extending the program to business owners also. The statewide initiative by Senator Runner and Assemblymember Runner targets criminal street gangs, felons with guns, and drug dealers with focused penalties, and provides sustainable funding to our local police, sheriffs and prosecutors. Letters were sent to all Committee Members for hearing on April 9, 2008. United Chambers has submitted letters of support to our Congressional Representatives and has written an Op-Ed piece for the support of Free Trade with Colombia that will have great benefits for businesses that export to Colombia. United Chambers received the following message from the U.S. Chamber: “Kudos to you- you were the only organization in the entire country that got an op/ed placed on this subject. It is noted in this memo from our shop to the White House… You guys are always at the top of the list when it comes to business advocacy for MOC and you always deliver- thanks,” Matt Klemin, Manager, Western Regional Office, U.S. Chamber of Commerce. United Chambers has been gathering signatures that would place a Redistricting Initiative on the November 2008 ballot that would take redistricting of Assembly and Senate seats out of the hands of the legislature. Signature petitions are still being circulated and the deadline for signatures is fast approaching so come by the office to sign one. Steve Poizner, California Insurance Commissioner was the Keynote Speaker at United Chambers’ 32nd Annual Celebrating Business Recognition Dinner held on January 18, 2008. Poizner is cracking down on insurance fraud and called on all business leaders to report fraud to help solve this problem. He also informed the audience about the office of the Insurance Commissioner. Poizner’s comments to over 200 business leaders were very well received and we thank the Commissioner for coming to the Valley. Along with Poizner, Assemblymember Cameron Smyth served as the Master of Ceremonies for the evening. Elected Officials attending the event included: Congressman Brad Sherman, Assemblyman Lloyd Levine, Los Angeles City Councilmember Wendy Greuel, Los Angeles City Councilmember Dennis Zine, LAUSD Board Member Julie Korenstein, Calabasas City Councilmember Dennis Washburn, LAPD Deputy Chief Michel Moore and Former Assemblyman Keith Richman. Representatives from the Writers Guild and Producers Association recently met with members of United Chambers to discuss the issues surrounding the Writers Strike. Both sides stressed that they wanted to settle the strike as soon as possible and that new talks are being scheduled with the hopes of settling soon. Both sides also acknowledged the hardship the strike is causing small businesses. United Chambers encourages the Writers and Producers to engage in talks that will lead to the end of this strike. “Businesses are already being hurt from the down-turn of the economy and on top of that there is a strike that is hurting many, many businesses throughout our communities, stated Debi Schultze, President of United Chambers. “Businesses need to get back to business and workers need to get back to work for all to thrive, it is imperative that this impasse ends, she remarked. 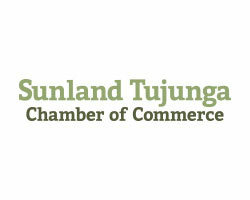 On January 29, 2008, United Chambers joined with 43 other Chambers, Business Organizations and Trade Associations County-wide, to launch a new grassroots coalition of businesses and business leaders giving business a collective voice on the issues that mean the most to the business community. On the steps of the Kenneth Hahn Hall of Administration, business leaders gathered to kick-off the new organization and release the recent member survey noting the three main issues businesses want addressed: commuting time, gang and crime activity and K-12 Education. United Chambers is serving as a Founding Member and Debi Schultze, President of United Chambers is serving as a Founding Officer for the organization. By joining BizFed, United Chambers is enhancing the value we give our members and providing them with more of the tools they need to be effective in advocating for business. We will keep you updated on the progress of this new alliance. ~ Congratulations to United Chambers Award Winners! Congratulations to all the winners and thank you to all the Chambers for submitting your nominations. The Valley is so lucky to have so many great Chambers of Commerce and so many great businesses and business leaders to chose from! United Chambers members voted to oppose Measure S, the TUT which seeks to replace the current TUT with a new telecommunications tax. Depending on the outcome of pending litigation, the city may lose $275 Million if Measure S is defeated. However, despite the claims of the TUT proponents, the impact on essential city services is far from certain. What is equally likely is that, if the tax passes, the city will eventually tax voice over IP and text messaging resulting in Millions of dollars in new taxes. United Chambers believes that it is a bad idea to relax present legal prohibitions against taxing the Internet. United Chambers of Commerce is supportive of efforts to beautify the City of Los Angeles through civic beautification efforts like the LA River Revitalization plan. United Chambers of Commerce believes that the River project has the potential to be a great citywide asset. While the development of the River will take several decades, United Chambers of Commerce believes there are critical issues like eminent domain, governance, policing responsibility and others that have not been adequately addressed. The City of Los Angeles and United Chambers of Commerce must continue to work to resolve these issues. The City and United Chambers should work together to change the project’s rules and regulations where necessary based on the facts and fundamental fairness. At all times we are committed to protecting and promoting businesses within and near by the River project area. River revitalization must not come at the cost of business or local residents. Above all, public safety must be the projects’ top priority. United Chambers of Commerce appreciated the willingness of Los Angeles City officials to explain the River Revitalization plan. However, many business leaders are still unaware that there is a River plan. The City of Los Angeles must work with the United Chambers to do more effective public outreach. United Chambers of Commerce welcomes the opportunity to work with Los Angeles city planners and the city council to make the LA River Revitalization a project we can all be proud of.